I'm just a college student with so many feels. Jesus is Lord bae. I'm confused, or sleepy, all of the time. :] Thanks - Happy Baby Jesus Day to you too~! : ) No proublem, Screamo. 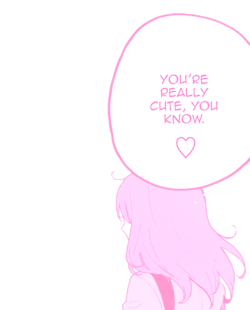 Your avatar is cute. Can I draw it? Oh i'd love you to! Thank you so much~! oh please Do add me as friend i'll add you too:D lol. know what i mean xD ohey & hello i'm mafe. MAFE? how would u prononce that? (MAY- FFF-EEE?) FAILZ. Oh i shall my little bannana fann'a c8 (haha get it- bannana fann'a as in- FAN. Well you know.. I just wrote what was in my.. heart. And btw i'm Potential- Poe for short. ‹ㅑJïNxㅜㅇNㅕ› has chosen not to enable this feature. Asylum Role play! Characters Needed!